Whenever my friends and I drive around the city, we always bring the best music or playlist we have. Music is my life, and I love sharing it with friends whenever I get the chance to. I know that the speakers of my phone are not enough to play loudly on its own so I keep on wishing someone would give me one of those portable speakers. 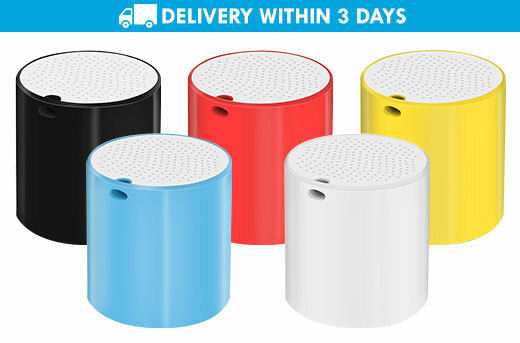 Just last week, my friend sent me this link to a MetroDeal offer for a Y86 Smart Box Mini Portable 3.0 Bluetooth Speaker. I was surprised to see that there’s a 58% discount! It comes in different colors, so I picked my favorite color (yellow). It arrived at my house yesterday, and I must say, the sound is great for such a tiny body. It has a great battery life, too. I can already imagine the long drives while using this Bluetooth speaker. Did I already say that it comes with free delivery in Metro Manila? B-u-f-f-e-t. Enough said. I don’t know anyone who would decline an offer for a buffet. Especially when it’s Yakimix, right? For this time, I decided to go alone since it was a sudden change of plans. The nearest branch was in Alabang Town Center, so I went there just in time for lunch. The promo starts at 11:00 AM and can only be availed until 2:00 PM. And if you ask me, any time is the perfect time for Japanese food. It’s just so umami! To be honest, I didn’t know where to start eating so I just trusted my gut and went for the Tempura. I went out of Yakimix feeling really full I almost couldn’t walk. But I did not regret my decision because I got to eat amazing food for only P399! All thanks to the awesome MetroDeal offer. If I’m not mistaken, the offer is only until April 15, 2017.